Entries for the 2019 LNGA Ladies’ Senior Four Ball Championship are now open! Click the "Enter Now" button to register and grab one of the few remaining spots for Casablanca. Looking forward to seeing everyone there! 2019 Amateur Championship at The Golf Club of Tennessee, Kingston Springs, TN July 29 – Aug 1, 2019 (Practice Round: July 28). Entries Open March 28, 2019 @ 3:00 PM EST. Create your Player Profile on the link at the bottom of the page! Interested in learning about our Amateur Championships? Click Read More to view winners, learn about competitions, and more. Learn more about our four-ball competitions and championships. Read the latest digital Annual and Newsletters! Learn more about The Ladies’ National Golf Association and our 90 year history. Create Your New Player Profile Account NOW! The LNGA made a major change in how you register for LNGA Championships in 2019. 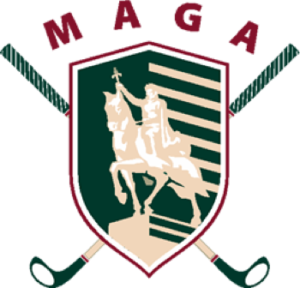 Thanks to the MAGA (Metropolitan Amateur Golf Association), the LNGA converted to an upgraded USGA Tournament Management powered by Golf Genius platform that will be used for scoring, communications, etc. Going forward, that same platform is being put into place to streamline the registration process and enhance the player experience.